Just a short drive from Hobart’s CBD is Mt. Wellington, which, like most of Tasmania, is filled with short walking tracks. 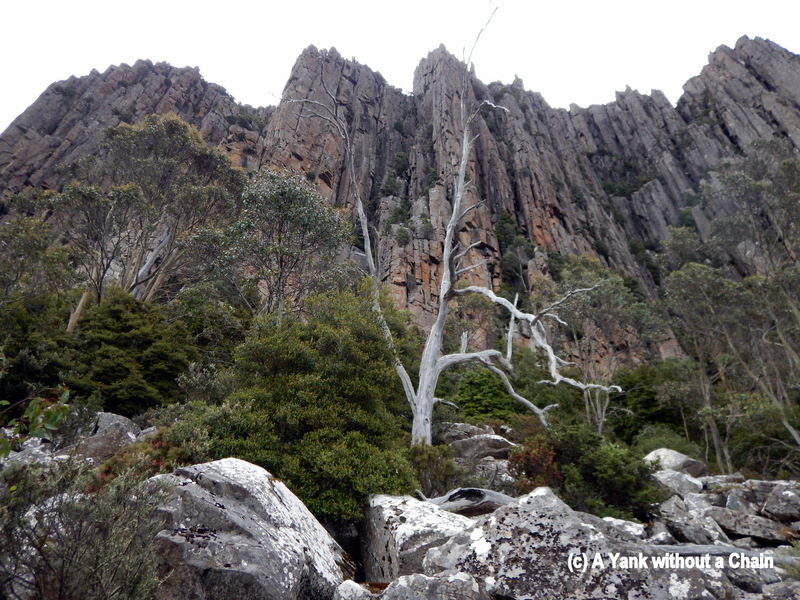 I did the 3 hour Organ Pipes loop, which is fairly steep and rocky but worth the trek for the views of Hobart and the surroundings. Despite being so close to the city, the area was mostly empty on a Tuesday afternoon save for a French family and a British couple. The walk is filled with beautiful flowers and sneaky skinks. I also saw a pretty cool black and red spider and some interesting birds. The actual Organ Pipes, which are columns of dolerite, are magnificent, though you need rock climbing gear to get really close to them. This entry was posted in Australia: Tasmania and tagged australia, flowers, hiking, hobart, mountain, mt. wellington, road trip, skink, spider, tasmania, travel, trees. Bookmark the permalink.